Designer’s Best: The Altuzarra for Target Collection Goes On Sale Today! I’ve always kept my eye out on designer collaboration with major retailers (like 3.1 Phillip Lim, Catherine Malandrino, Kate Young, Prabal Gurung, & Missoni), but I have to say that I’m most excited about the Altuzarra for Target collection, which hits stores today! I’ve been slipping through preview lookbooks & retweeting the heck out of the line for a few weeks now, & just today was I able to share all the looks with readers. This is most definitely my favorite of any previous Target launch with a designer because of the line’s easy, yet necessary feel with classic preppy pieces like tuxedo pants & button down shirts, as well as trendy must-haves in snakeskin, menswear / military inspired jackets, functional footwear in luxe leather, & rich details with sequins or polka dots. The collection ranges in price from $17.99 – $89.99, which is pretty affordable considering that Altuzarra usually starts around $600.00 for one piece, as seen on ShopStyle. The versatility of the collection will also speak volumes to the mainstream consumer of style, considering all of the possibilities for coordinating with current wardrobe staples that could always use a little extra something. Also, so many of these pieces can easily transform your day look for something evening, & vice versa. Here, the tailoring looks impeccable & can masterfully cure any style rut when transitioning from season to season. 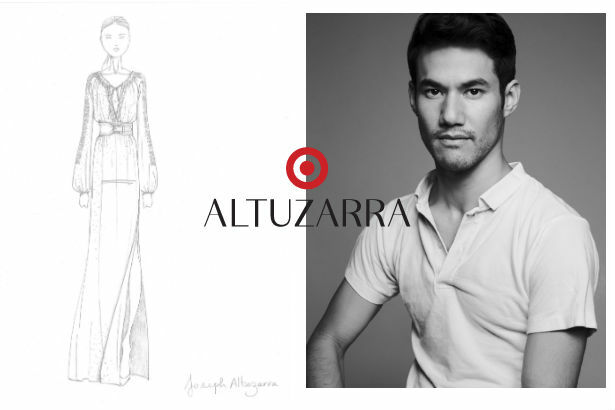 What do you think of the latest collection for Target by Altuzarra? Which pieces do you have on your style wishlist? Who would you like to see featured in Target next? For more stylish posts, check out my recent fall-ready green dress purchase, the complete Fashion Week runways from Michael Kors & Monique Lhuillier, an Alice + Olivia look-alike jacket, & the best international September issue covers. Happy Styling! This entry was posted in Accessories Access, Basics for a Bargain, Designer's Best, Quickie Darling Deal & Steal, Runway Rundown, Show Me The Shoes, Splurge or Save?, Style Darling Daily, Watch This Style. Bookmark the permalink. ← Inside A Style Blogger’s Closet: Going Green For Fall With A Target Dress!